Come and learn new and free ways to express in watercolor. 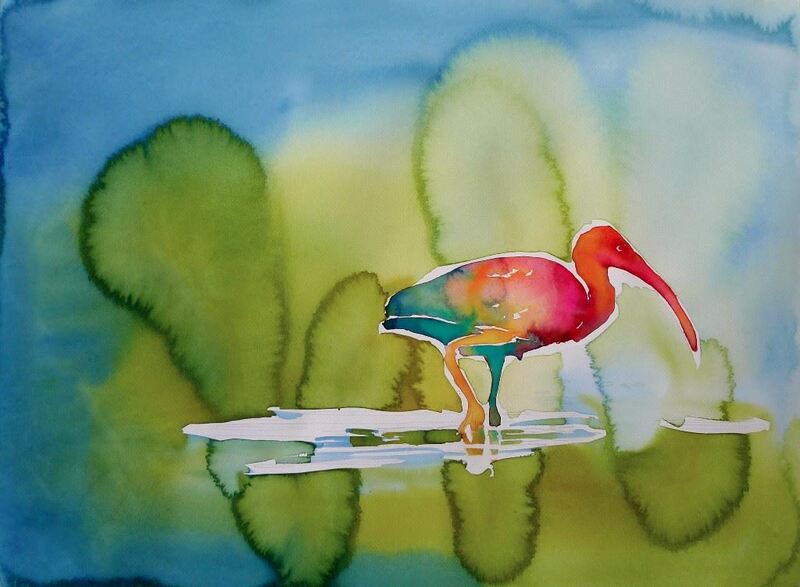 Carol will demonstrate her watercolor technique through lecture, demonstration, and individual instruction. Each day will begin with a uniquely tailored demonstration to inspire. Talks about color, pigment, design, and value will be included. The brilliance of color and the color palette- along with choosing imagery with meaning will be discussed. The day included a step-by-step tutorial. Carter demonstrates for 20 minutes then allows class to paint. Learning is a gradual process. Each day there is a completed tutorial with hands-on instruction. Classes are informal and discussions are lively and entertaining. There will be discussion about marketing, resources for supplies, documenting art, and developing personal imagery. This 3 day workshop is $450 and runs from 9am-4pm Friday, Saturday and Sunday. Find the materials list here!